Im new but so far so goodsubmitted by Adam B. - Apr 07, 2019 |Recommended: YesLots of dogs. Dog park looks nice. Easy to pay bills online. Id recomend using the nearby Amazon locker. There are two way to get in and out of the parking lot. The property needs many repairs.submitted by Kenneth C. - Mar 26, 2019 |Recommended: YesI enjoy living here because the place is cleanly overall however the buildings definitely need more upkeep. There is a gym being built which should benefit the community even more. The people are friendly and there is plenty of parking. Quiet and nice living areasubmitted by Rose C. - Jan 29, 2019 |Recommended: YesIt is a quiet apartment area, everyone seems to be nice, meaning no problems with neighbors. The complex is located near a lot of restaurants, grocery stores, and other fun essential businesses. They are adding amendities and updating the complex. Great place. I HAVE BEEN LIVING HERE SINCE 2013 AND I REALLY LOVE IT,submitted by Philip S. - Jan 18, 2019 |Recommended: YesI REALLY ENJOY LIVING HERE, THE SALES OFFICE ARE SO FRIENDLY AND ACCOMODATING, THE DEVELOPMENT IS VERY NICE. Peaceful and great value for the area.submitted by Timothy H. - Nov 01, 2018 |Recommended: YesAside from hearing my upstairs neighbor walking, its a great place. Easy access to turnpike. Everyone here respectful and private. Buildings and area is well kept. Apartments are well kept and updated. A good apartment that I can recommend to my friendssubmitted by Jaspher T. - Jul 27, 2018 |Recommended: YesI don't have any bad experiences in the whole duration of my stay.  Wellingtonsubmitted by Carolyn - Jun 13, 2018 |Recommended: YesQuiet, clean beautiful apartment. I welcome the new management I have lived her a long time and the change is due.